With Super Bowl 50 this weekend, these seven LA homes with spectacular kitchens are ideal for cooking up a feast for your football-loving guests. The open floor plan of the kitchen and living room inside this picture-perfect five-bedroom family home ensures that you and your Super Bowl party guests don’t miss any of the action. The marble counter top island and adjoining wet bar will come in handy when it’s time to spread out boozy drinks and snacks for guests to enjoy during the game. Sleek and minimalistic, the splashy kitchen of this spectacular four-bedroom mansion provides all the space needed to cook a decadent spread for your favorite football fans. The home also boasts an upscale wine room and a luxe viewing room complete with a roaring fire, a full wet bar, and panoramic views of LA. An entertainer’s dream, this Pacific Palisades abode’s kitchen, dining space, and living room effortlessly flow from one to the next. The chef’s kitchen shines on its own thanks to sleek cabinetry paired with a brilliant blue Le Cornue stove. The home also features a 1,000 bottle refrigerated wine cellar to keep party drinks nice and cold. Ideal for the football-obsessed bachelor who loves to cook, the kitchen inside this Santa Monica space is layered with masculine tones and finishes. Although the house’s plush screening room will be where all the game watching takes place, don’t be surprised if guests would rather linger around the dashing kitchen a little longer. 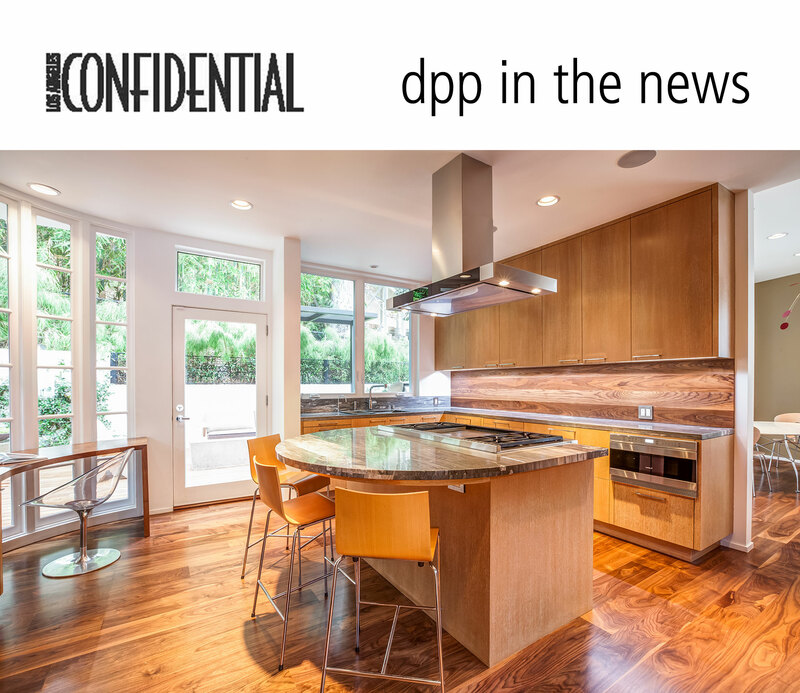 Decked out with walnut cabinets and complementing walnut floors, the kitchen of this Santa Monica abode will be a pleasure to cook in. And, if you’d rather cook up something outdoors for your Super Bowl guests, there’s a dreamy rooftop deck complete with a grill, fireplace, and marble seating. Whip up game day fare in style thanks to the gourmet kitchen in this spacious and newly built four-bedroom property. French oak flooring, custom white cabinetry, Cortz stone counters, and Wolf and Sub-Zero appliances are just some of the features that make this kitchen a standout.